In my experience, there are many qualities that matter in terms of being more productive, effective, and producing more results in your field. Your ability to get along with others matters. With that said, I believe there is one quality that really matters. Your ability to get sh*t done and make things happen. Before going into construction management, I was already studying the Getting Things Done philosophy for productivity. However, managing over $100M worth of construction has without a doubt amplified my ability to add order to the chaos. CAPTURE – Collect what has your attention – use a notepad to capture 100% of everything that has your attention. Little, big, personal, and professional – all your to-do’s, projects, things to handle or finish. CLARIFY – Process what it means – is it actionable? If no, then trash it. If yes, decide the next action. If it takes less than 2 minutes, do it NOW. If not, delegate it or put it on a list to do when you can. ORGANIZE – Put it where it belongs – Put action reminders on the right lists. REFLECT – Review frequently – Look over your lists as often as necessary to determine what to do next. Update your lists, and clear your mind. ENGAGE – Simply Do – Use your system to take appropriate actions with confidence. 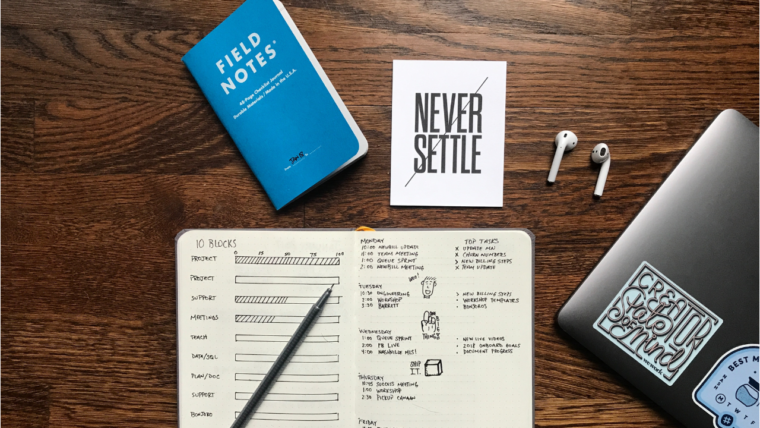 You wouldn’t think something so easy to make and dumb could have such a huge impact on your life, that is unless you have a set of important lists that you use on a daily basis. They help you remember mundane things that you would forget otherwise and provide a way for you to stay organized. The act of writing forces you to organize and make concrete all the emotional turbulence swirling around in your brain. Vague feelings become structured and measured. Your self-contradictions are laid bare. Rereading what you write reveals your own logic (or lack there of). And it often reveals new perspectives you hadn’t considered. Writing things down is a simple but powerful way to clarify everything that is swirling around in your head so you can focus on what really matter. Thank you for reading and supporting. Let me know if you received any value from this by reaching out to me.